Senator Grassley is almost as much of a hero to whistleblowers as was Abraham Lincoln. Congress passed the original False Claims Act law during the Civil War at the behest of President Lincoln. Over one hundred and fifty years later the law is still on the books and remains the nation’s primary whistleblower statute. Under the False Claims Act, qualified whistleblowers receive a portion of whatever the government collects from wrongdoers. The Act was almost eliminated during 1943 when Congress gutted the law after the Attorney General said it was no longer necessary. In 1986 Congress, under the leadership of Senator Chuck Grassley of Iowa, breathed new life into the law. Today, that law saves billions of dollars yearly for taxpayers. Some big corporations continue to think they are above the law, however, and put their profits ahead of the best interests of the American people. Today, Chuck Grassley is fighting Kmart but not on the floor of Congress. The Kmart False Claims Act case is being fought in a courtroom. To best appreciate this interesting story, some background is helpful. Federal Medicare and Medicaid rules say that these publicly funded health care programs should get the best price on prescription medications. Congress properly believes that if taxpayers are footing the bill for someone’s prescriptions, Medicare should get the best price. The law makes sense. Private insurance companies shouldn’t get a lower price than the biggest insurer in the nation – Medicare – which also happens to provide coverage to millions of elderly Americans. A False Claims Act suit brought in 2008 claims Kmart was charging the general public much lower prices than Medicare. For example, the complaint says that Kmart sold a 30 day supply of the generic version of Zocor for $5.00 to the cash paying public but told the government its “usual and customary” price was $152.97, an inflation factor of almost 3000%! The whistleblower, called a relator in False Claims Act cases, was a pharmacist of 40 years who last worked at the Kmart pharmacy in Defiance, Ohio. He claimed that the company’s Retail Maintenance Program or “RMP” is a boon to customers who need only to pay $5, $10, or $15 for 300 different widely prescribed generic drugs. The only special requirement was that the sales had to be in cash. Important for this discussion – and the lawsuit – is that the RMP program was not a special one-time offer. Every Kmart pharmacy offered the program and for hundreds of popular drugs. The whistleblower, James Garbe, claims that Kmart ran afoul of the False Claims Act by failing to offer the government (Medicare and Medicaid) these same low prices. That meant taxpayers were left footing much heftier bills for medications submitted to Medicare for reimbursement. In our opinion, Garbe is right. We examined Wal-Mart’s generic drug pricing scheme that charges both the government and the public $4.00 for common generics. That plan doesn’t run afoul of the False Claims Act, however, because both Medicare / Medicaid and the public get the benefit of low prices. The case is now before the U.S. Seventh Circuit of Appeals where Senator Grassley has taken the unusual position of weighing in on what Congress intended when breathing new life into the False Claims Act. There has been no decision by the appeals court and the case has not yet been set for oral argument. It is a case we are following closely, however. In our opinion, Congress clearly intended the Act to be interpreted broadly. Big corporations and wrongdoers should never be allowed to put their own profits ahead of taxpayers. It’s one thing to earn a reasonable profit but something quite different to soak taxpayers with drug prices that are almost 3000% higher than what the company offers to customers who walk in off the street. The federal False Claims Act pays whistleblowers up to 30% of whatever the government collects from wrongdoers. In the case of prescription drugs, the court can penalize Kmart up to $11,000 per prescription. Add actual damages and triple damages and the penalties could be huge. To claim an award as a whistleblower, one must have original source (inside) evidence of wrongdoing against a government funded program such as Medicare. Many states have their own state version False Claims Act laws that cover losses to the Medicaid program and some a few states even have laws that provide whistleblower awards when the violations impact private insurance companies. 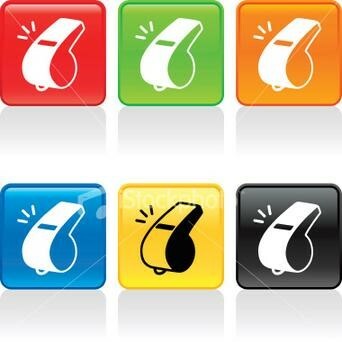 To earn an award, the relator (whistleblower) must follow some very particular steps including the filing of a sealed lawsuit in federal court. Simply calling a toll free Medicare fraud hotline does not entitle you to a large cash award. Need more information about state and federal False Claims Acts? Give us a call. All inquiries are protected by that attorney – client privilege and always kept completely confidential. For more information, contact attorney Brian Mahany at (414) 704 – 6731 (direct).